Press - Page 2 of 3 - Big Fish Cider Co.
No, we didn’t run a marathon or place at the Rio Olympics. 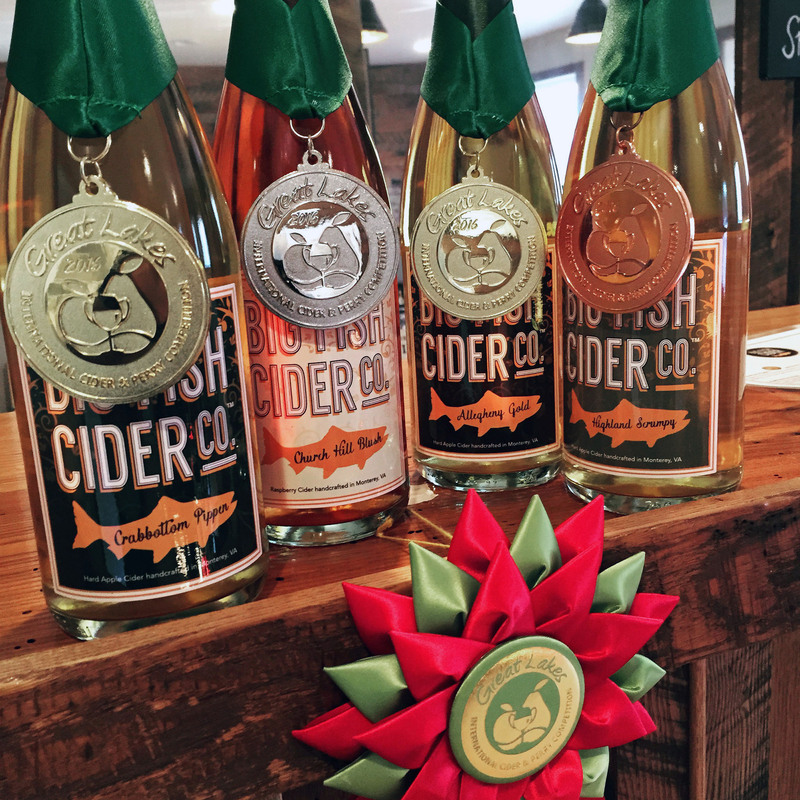 Big Fish brought home some bling from the 2016 Great Lakes International Cider and Perry Competition (GLINTCAP) this year. 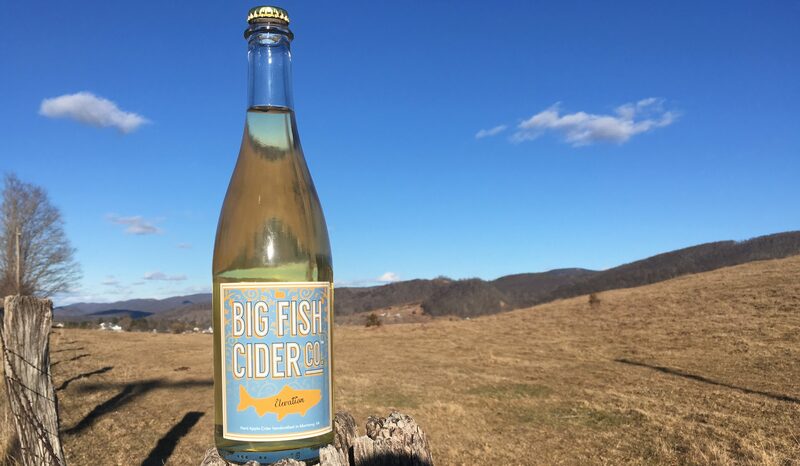 Which Big Fish cider award winner is your favorite? We’d love to know! U.S. 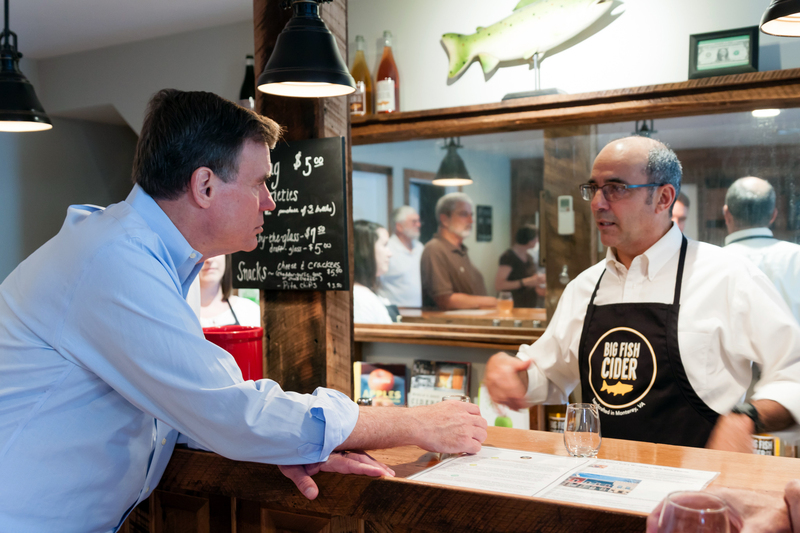 Senator Mark Warner stopped by Big Fish Cider Co. to chat about the cider making process. Warner recently met with community and business leaders in Highland County, VA to discuss efforts encouraging economic development, revitalizing downtown, and diversifying the county’s economy. 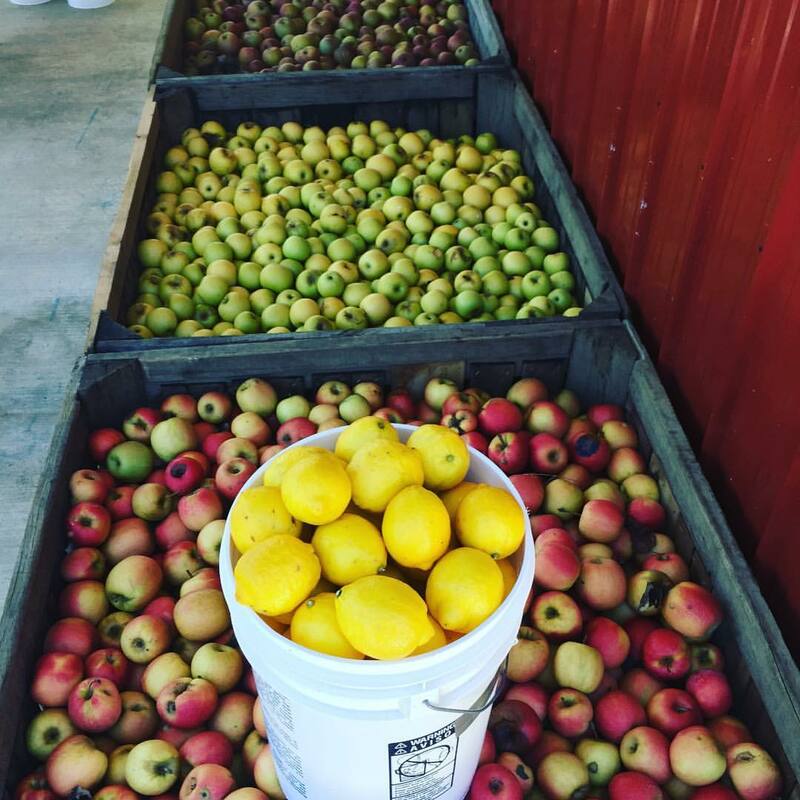 Dr. Ralph Northam was treated to a taste of cider Friday when he met Kirk Billingsley (right) and learned about the cider-making process. The lieutenant governor walked out with a couple of bottles of Big Fish Cider Co.’s best. Lt. Governor tours Highland: full article available at The Recorder Online. 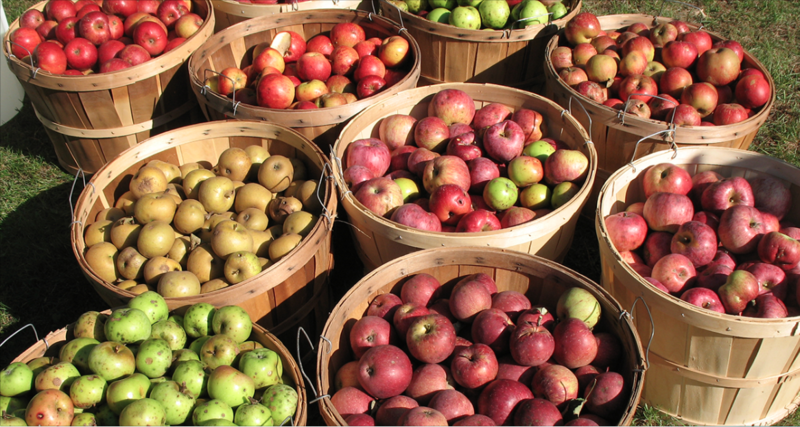 “A boyhood obsession with apples has grown into a newfound business, all housed in the most recognizable building in town.” The entire article is available on Whurk.org.